As of February 2nd, I have been suspended from coaching by USA Ultimate as a result of breaching the USA Ultimate Coaching Ethics Code. I will attempt to tell the story from my point of view, without bias. I began coaching at UNC Wilmington in 2012 as the head coach of the first ever Men’s B-team at the school. In 2013, I was asked to be an assistant coach with the Seamen and have held that title until this year, when I was asked by the captains to work in a head coaching role. After a disappointing Nationals performance in back to back years by UNCW, the returning captains made it known to our head coach, Greg Vassar, that they wanted a coaching change. The captains tried to find a way to bring both Greg and I back, but he refused to work with me. Last June, one of our captains had a one-on-one meeting with Greg in which he cited several reasons for not wanting to co-coach with me: that I bullied a player on my team, refused to coach this player, and crossed a boundary in my personal life with a former UNCW Women’s team player. The meeting ended without much resolution. Multiple attempts to contact Greg by several people were made over the next two months. He responded to none of the emails, text messages or calls. Two months after the meeting, he emailed the captains and myself saying that he was stepping down. In September 2016, a month after our new season had started, Greg emailed me asking me to step down from my coaching position, citing the same reasons he had brought up in the meeting in June. At no time did Greg make any efforts to hear my side of the story or give me any benefit of the doubt. I didn’t agree to step down and he filed a complaint with UNC Wilmington Club Sports. No player that had been aggrieved had lobbied any complaint. Greg wasn’t brought back to coach and didn’t have any affiliation with the 2016/2017 team. His complaint was filed three months after he and the team had parted ways. My personal life (mistakes included) was not under their jurisdiction and wasn’t relevant. I have in no capacity ever coached the UNCW Women’s team, only the Men’s teams. During the time of our relationship, this former UNCW Women’s player was no longer a student, and I was acting as a coach of the Men’s team. The UNCW Men’s Ultimate team, as a student funded and student-run organization, had the opportunity to choose any coach that they saw fit. After a team-only discussion, I was asked to take on the role of head coach officially. I had extensive coaching history and some playing history with the player that I was accused of bullying. From here on I will refer to this person as “Player 1”. After years of coaching this player and playing with him, my takeaway from these experiences was that for him to flourish he needed to be in an offense that catered more towards his creativity and field vision. The offense that I thought would work best for the 2015/2016 Seamen team was more structured and rigid. I relayed my thoughts to Greg. I never refused to coach Player 1 – but rather acknowledged that his best chance to succeed was on the D line (of which I happened to not be the coach). In the Fall of 2015, I began noticing a trend where Player 1 chose not to participate in practice but was available for games. This was starting to become a pattern of irresponsibility that I feared would spread throughout the team, and that fear was shared by the captains of the team. On the Thursday practice leading up to the College Mixed Championships, Player 1 deemed himself too hurt to practice. He also indicated that he was planning on playing that weekend. Greg wasn’t at practice, and I felt compelled to address the situation. The conversation I had with Player 1 was the same that I would have had with any other player under those circumstances. I conveyed to him that playing when he wanted to and then missing our structured practices created an issue for the team. As a returning player, many of our younger players looked up to him. I made a decision to hold Player 1 to a standard I would hold any other player on the team to. I told him that if he wasn’t going to practice on Thursday, he couldn’t play in the tournament that weekend. While surely not happy, he didn’t respond with anything in person to me at the time. Later that night, Greg let me know that he and Player 1 had spoken and that he was allowing him to play in the tournament that weekend. That decision was made unilaterally without consulting the opinion of any of the captains or myself. The situation also had the unfortunate byproduct of making it harder for me to help coach this player by creating a strange coaching dynamic. This was the genesis of a strained relationship between Player 1 and myself. The second claim made to USA Ultimate surrounds a female friend of mine, who let me know Player 1 had been saying negative things about her to some of his teammates in the fall of the 2015 season. It upset her, and in an effort to quell her frustrations, I decided to reach out to Player 1 to stop the actions. In an attempt to not add to an already strained relationship, I chose to remain anonymous by using a random texting app to send a series of text messages to him. My words, as well as the medium which I used to communicate, were out of line. My intentions were never to bully Player 1, but rather to stop what she perceived as bullying from him. I have since reached out to Player 1 to apologize for the route I took in this situation. He has assured me he doesn’t have any qualms with my position as head coach and he doesn’t believe that I will act in this fashion again. About a month after the text message incident, I was unfaithful to my girlfriend. It was the worst decision I have made in my life and the extent of the damage I caused is irreparable. This is the toughest part to admit to as it changed the way I view myself as a person. The woman I cheated with was the same that had rumors spread about her a month earlier. At the time she was engaged to a former teammate of mine. She had previously played on the UNCW women’s team but was not a current student or affiliated with either team in any manner. Along the way I had several friends, including my former girlfriend, that challenged me and were honest with me in how particularly distasteful my actions were. Without that truth and communication, the introspective analysis that is the driving force for the changes I’ve made wouldn’t have been possible. 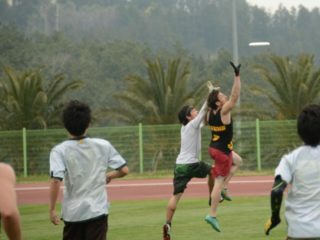 That is the story that precedes the actions taken by USA Ultimate. 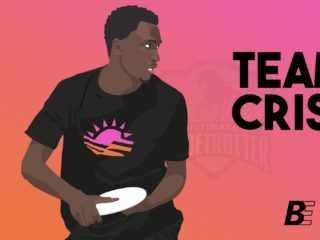 On Sunday morning of our trip to Athens, GA to compete in Classic City Classic I received an email from USA Ultimate stating that a complaint had been filed me against me by Greg. The contents were the same as the complaint filed and dismissed by UNCW. 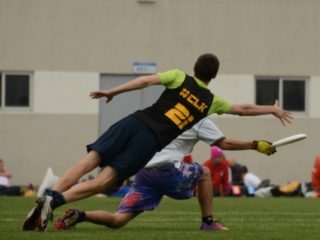 After reading the complaint, which referenced conduct from a year prior (well beyond the 150-180 day period from conduct in question as noted within USA Ultimate’s bylaws under Section 10.4: Timing), I requested a hearing to present my case. The hearing consisted of a panel of three USA Ultimate board members, myself, Greg, my witness and Greg’s witness. The hearing occurred on December 18, after which we were told that the board would be having a second meeting and then would relay their decision without giving a firm timeline. After over a month of no communication I sent two follow up emails to USA Ultimate. 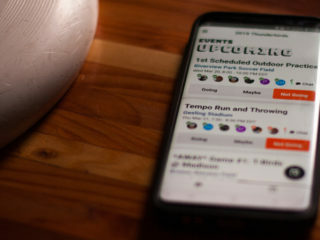 45 days after the hearing (88 days after the USA Ultimate complaint was filed), I was issued the verdict, despite the fact that USA Ultimate has up to 60 days (according to their own policy) to issue a final decision after deciding to pursue a complaint. When I expressed my frustration with how long the process took to a USA Ultimate board member the following day, the response was apathetic. The final decision, my suspension, was issued less than 48 hours before our first spring tournament, and put our team in a difficult situation. My current co-coach is in his first year of coaching and would need to take over my responsibilities for the weekend. Had a decision been made in a more timely fashion, we wouldn’t have been put in a late rush to figure things out. After this ruling, Greg sent an email to members of the team expressing his distaste with the decision and lobbied them to take action to remove me as their coach. He also mentioned in the email that he had informed an ultimate media outlet of the situation and ruling and that information would be forthcoming on public forums. This has lasted for six months and I’m ready for it to be over. I’m in the process of completing all necessary tasks dictated from USA Ultimate in order to lift my suspension as a coach, including, but not limited to, 40 hours of community service and being re-certified as a coach. I grossly overstepped moral boundaries in my personal life with the decision that I made. However, in relation to my position as coach, I believe that my ability to teach the sport of ultimate to my players wasn’t impacted. I do not think USA Ultimate should have the ability to rule on the personal lives of coaches as it pertains to people that they haven’t ever coached. In regards to UNCW, they have heard the circumstances and have determined that the team can decide if they would like me to continue coaching, and they have. Along with this, I acknowledge that I need to atone for my actions pertaining to the inappropriate communication with that player. I’ve apologized to the player and am committed to continuing to grow and develop as a person and coach. My intention since I began coaching the UNCW Men’s Ultimate team has been to grow the team with sustained success and leave the program and players better than when I found it. I made a mistake in my handling of a player and I regret this. I have also detailed the story and apologized to my entire team for my actions in order to be transparent. They have chosen me to lead our team this year and transparency and trust are paramount values in being a coach. I’m grateful that with the knowledge of what happened they have chosen to stand with me. Enhancing the quality of this team starts with my personal growth and development. I have learned from my shortcomings and will continue to strive to be a better coach, example and leader. While the UNCW Men’s team has a reputation that can be improved, I am continuing to take steps each week to do so and earn back the reputation that our sport expects of us. This has been an evolving process since I began coaching in 2012 and something that I’ve grown to understand the importance of. At our first practice this fall I set the expectations for our team, including how we will carry ourselves on and off the field. Our goals are to play hard but fair, communicate effectively and to continue to improve every game. I’m pleased with the way our team has adapted and learned how to play this game fairly, and we will continue to work to improve each day. The 2017 UNCW Seamen team experienced a lot of roster turnover. 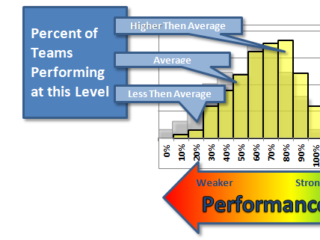 That presents unique challenges as a coach but also unique opportunities. The opportunity I am most excited about is to change the narrative of the type of team that we are. I look forward to being held accountable for the actions of our team. I look forward to coaching games that other teams will enjoy being a part of. I’m also very excited to continue to develop these young men into players and people that can contribute to the betterment of our sport and society at large. Ultimate can teach people a great number of skills and values that help them in their lives and I’m glad I have an opportunity to apply them.